Come and discover a wonderful mix of different cultures, traditions and experiences of the Eccles Mosque community. We have a range of activities from elegant henna designs and calligraphy artists to traditional clothes (perfect for selfies disclaimer selfie stick not included), religious artefacts, yummy food, traditional singing and many other delights. A great opportunity to meet the Muslim community and learn more about the true joy Muslims are and their amazing contributions throughout history! We also have Mosque tours and short presentations on the history of various Muslim communities and their roots. We hope events like this can build better understanding and genuine friendships - avoiding throwing the baby out with the bathwater especially when things are getting a wee bit murky around us :). 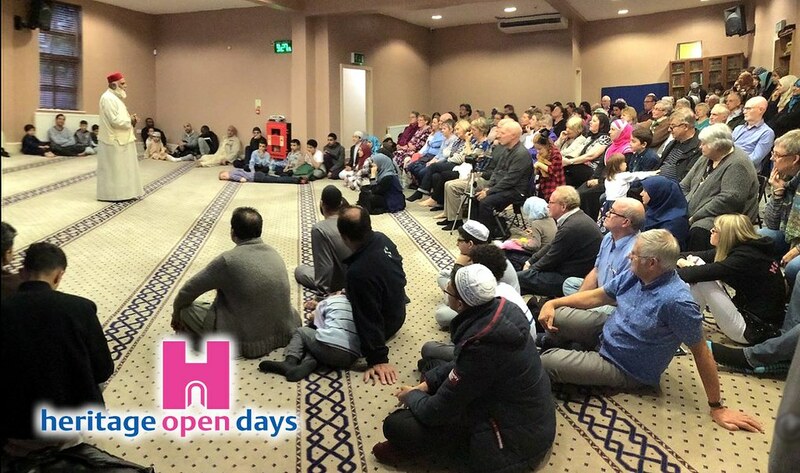 Eccles Mosque Heritage Open Day is part of the Heritage Open Days initiative. Heritage Open Days are England’s largest festival of history and culture, bringing together over 2,500 organisations, 5,000 events and 40,000 volunteers. Every year for four days in September, places across the country throw open their doors to celebrate their heritage, community and history. It’s your chance to see hidden places and try out new experiences – and it’s all FREE. If you have any specific dietary requirements please do let us know in advance and we will attempt to cater for your needs. If you have any further questions or queries please do not hesitate to contact me.